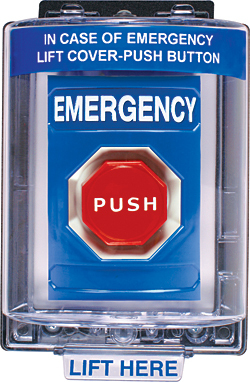 The SS-2452EX multipurpose, emergency push button with protective weather cover serves a wide range of applications. Station housing is molded of polycarbonate and includes a stainless steel backplate. Features a push-to-activate and key-to-reset button. Available in a variety of colors, wording and language. ADA-compliant for indoor or outdoor use.